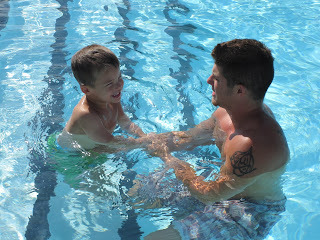 Connor has had two weeks of swimming lessons now. 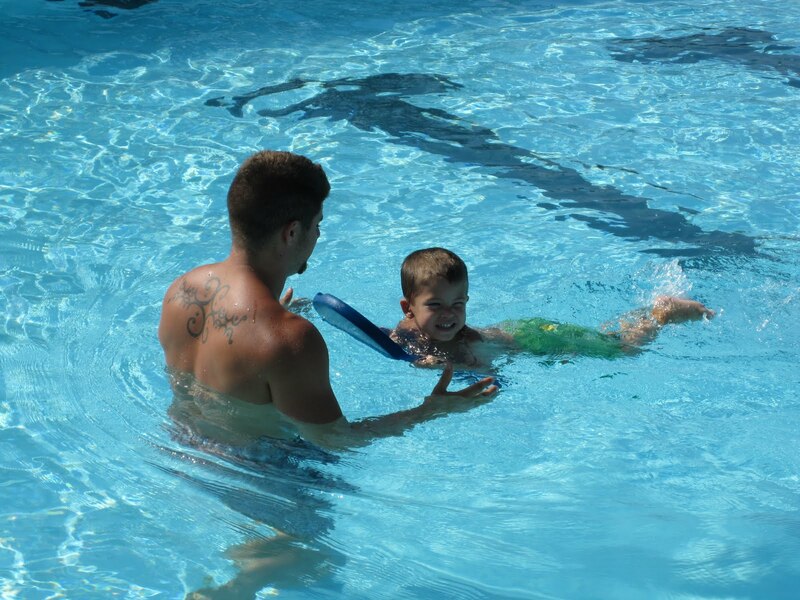 He's very comfortable with his life vest, but we wanted him to get some good lessons since we know that drowning is one of the main causes of death amongst boys his age. 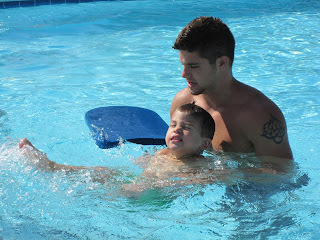 He's been getting private lessons at our pool and he usually does a pretty good job listening and following directions.